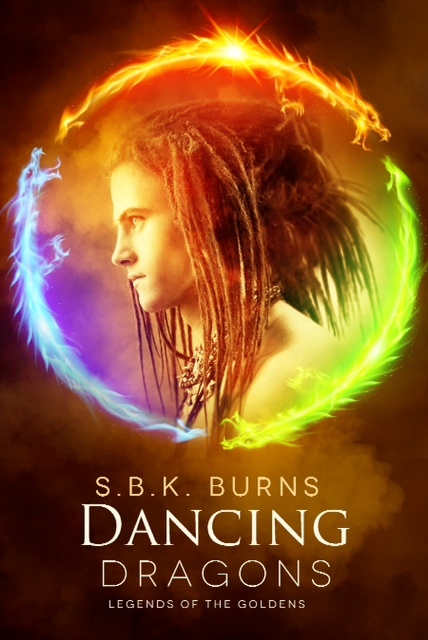 Announcing The Release of Dancing Dragons and Blog Tour | S.B.K. Burns' Sci-Fi Romance . . . . . . . . . Science & Spirit . . . . . . . . . . . . . . . . . . . . . Heroines with Attitude. . . . . . . . . . . . . . . . Heroes with Heart . . . . . . . . . . . . . . . . . . .
Join Bewitching’s Blog Tour of Legends of The Goldens, Book 2, Dancing Dragons. This book sets the good-guy vampires against the bad-guy vamps, and maybe some undecided vampires in between. Yes, folks, it’s a romance, but . . .
Goldens, unlike the bad-guy vamps, make love with their fangs — not war! Loads of prizes — leave your email address and a comment to win $25 to $50 at each blog site. This entry was posted in sci-fi paranormal romance and tagged flying saucers, forbidden playground, paranormal romance, psychic, Roswell, Roswell aliens, s.b.k. burns, sbk burns, sbkburns, sci-fi, sci-fi romance, science fiction, shape shift, shapeshifter, telepath, teleport, UFO, vampires, Wayback by doctorsatori/S.B.K. Burns. Bookmark the permalink.